"&--+&£ reserves the right to suspend, cancel or amend this promotion and/or review and revise these terms and conditions at any time without giving prior notice and by continuing to take part in the promotion subsequent to any revision of these terms and conditions, participants shall be deemed to have agreed to any such new or amended terms." legal mumbo jumbo. Depending on what US state, that statement may not even be valid. Still does not excuse the way it was handled or the change for the rules AFTER the promotion was done and over. Did you notice @AnkerOfficial didnt even comment on that, there is no logical explanation to the facts. It was England..... Not everyone in this community is American. I understand that you’re upset. Especially if it’s your first time winning something in this community. But please try to understand that Anker does hold the right to change the contest, rules, etc without explanation. Now, it would have looked bad if they never gave an explanation as to why it happened... and they may have been a little late to explain the issue, but they still did. 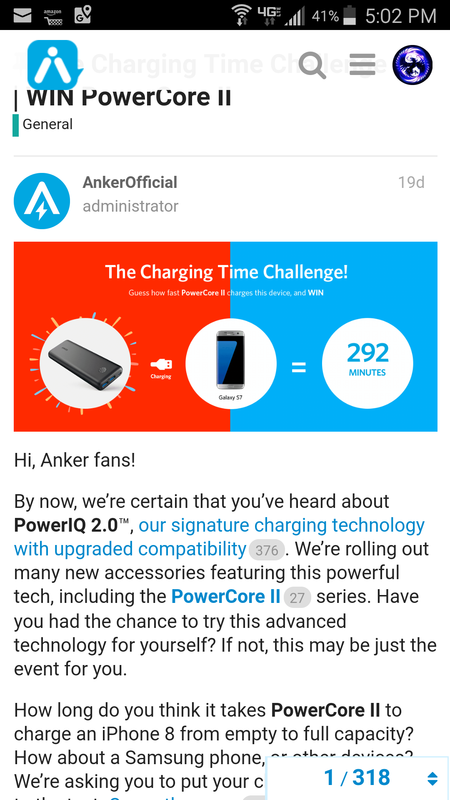 Rather than trying to combat the whole community, why not just straight up ask @AnkerOfficial politely, if you can hold out a few months for the original prize. That might have gone over far better for you rather than calling people sheep and whatever else you may have said. I wrote the company and also escalated to Mgmt. They did not reply. I’m very happy to see that so many community members won a prize in our Charging Time Challenge! Thank you very much for your participation and support. Congratulations to @Macgyver15, @IRNinjaz1, @DCM, @elmo41683, @namroc22, @toramame, @ericshaile, @joshuad11, and @kiki180703. Due to an inventory error, on this occasion we are unable to deliver PowerCore II 20000 to the winners. 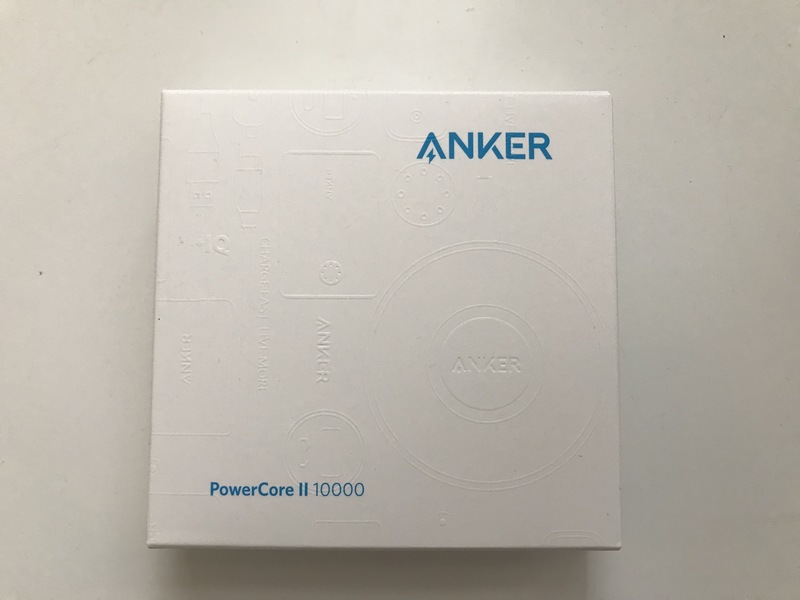 We have exchanged the prize for PowerCore II 10000. I apologize for the delay in getting this information to you. Your concerns and suggestions have been delivered to our team, we will do our absolute best to avoid this kind of situation in the future. We are very sorry that it happened this time. Once more, we thank you for your valuable contribution to our efforts at Anker. So I still feel like this is a very good explanation from Anker... What more do you want? 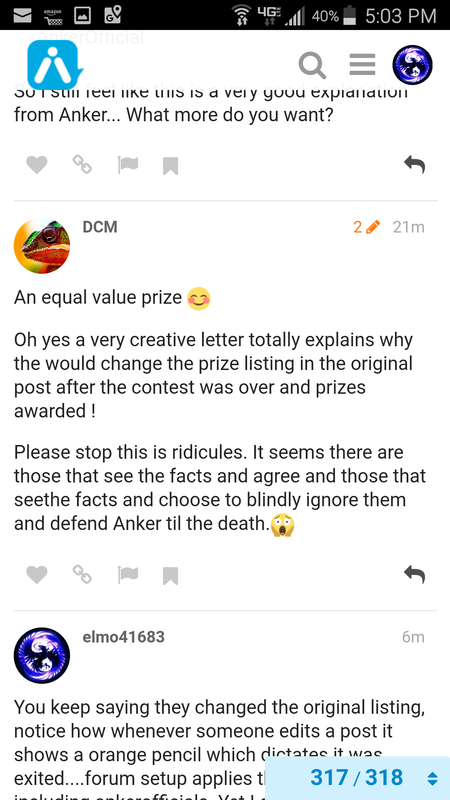 Oh yes a very creative letter totally explains why the would change the prize listing in the original post after the contest was over and prizes awarded ! Please stop this is ridicules. It seems there are those that see the facts and agree and those that seethe facts and choose to blindly ignore them and defend Anker til the death. See post 250. A picture of before and after ( yesterday it was changed by Anker). See #1. I am not claiming anything, I showed you a screen shot of before and after and it speaks for itself. Take it up with them if you don't see an edit ( and Anker did edit)! Looks like someone has special treatment as you said "no one does". Post 250 shows the screen shot of the original listing ( until yesterday) and the changed version. If you don't believe me look YOUR POST# 151. YOU even posted a picture of #1 of the original listing. That should convince you I did not photoshop or change anything. I hope you believe yourself ! I understand where you are coming from, but think you are overreacting. I originally saw your side of this. Now you're trolling. Own up.